The design of our charming No.23 Square Top Arch works well with a run of our No.12 Decorative Trellis Fencing. 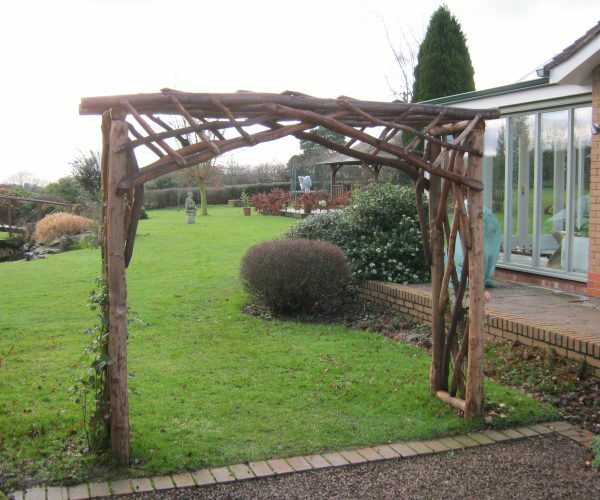 Should you require a wider arch, this particular design can be made up to a maximum of 244cm/96” wide and the depth would be increased to keep it in proportion. This means that it may have to be delivered in three sections and fitted together on site. An arch of this size would cost more and would have to be quoted for. Width – Made between 92cm/36″ to 244cm/96″ inside measure.